Posted on November 14, 2016 at 3:19 pm. 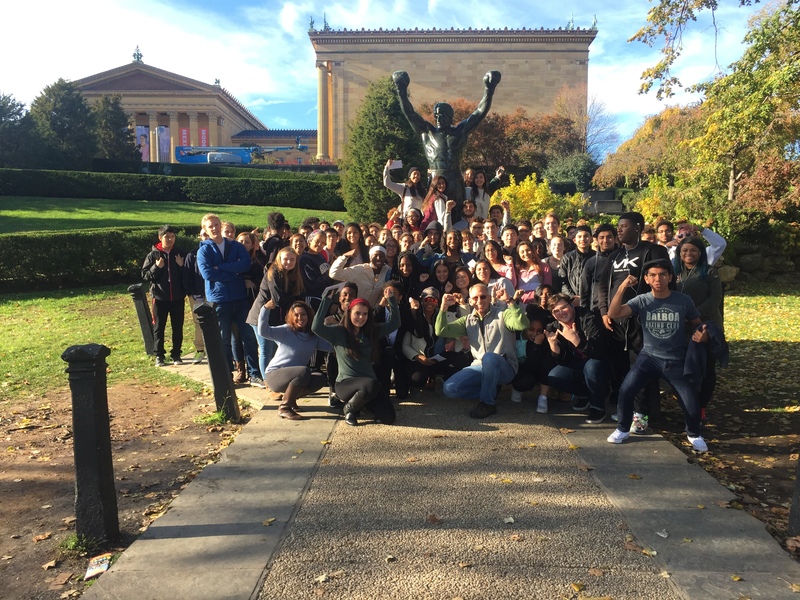 On Nov. 10, over 90 Wakefield AP U.S. Government and Politics students went on a field trip to Philadelphia where they visited the National Constitution Center. Students watched the dynamic “Freedom Rising” presentation, toured the Center’s interactive gallery, and participated in the “Headed to the White House” exhibit. They then went on a 75-minute guided walking tour of historic Philadelphia and concluded with a quick trip to the Philadelphia Art Museum, where they bounded up the steps to celebrate the pursuit of personal goals that they had set for themselves prior to the trip. 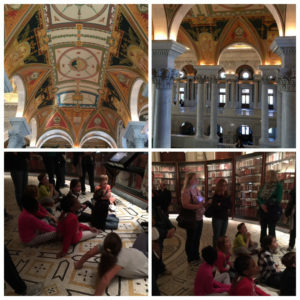 Some fourth grade students at McKinley spent the teacher work day with parents and art teacher Michele Mautawalli at the Library of Congress (LOC). 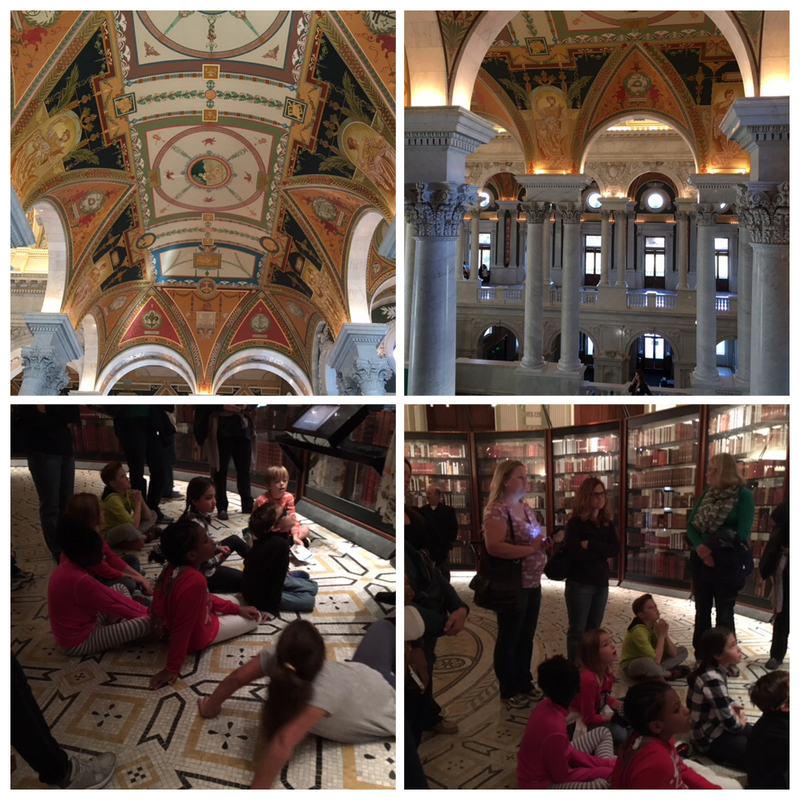 The morning was spent with Shawna Leondard, an educator at the Library of Congress, who provided hands on activities and an informative tour. The students were given the opportunity to participate in the LOC tour as part of McKinley’s Family Field Trips which are planned for teacher work days in an effort to get students and parents out to museums and historical buildings that are rich in artwork and architectural experiences. Marijoy Cordero‘s second grade class at Carlin Springs had a chance to share their enthusiasm for reading by having a “Books Are Treats!” celebration. Each student pick a book to read, and created a costume of a main character. Then the students, dressed in costume, read their stories to students from other 2nd grade classrooms. The students followed-up by writing book reports on their books. Even a 5 or 6-year-old has a story to tell. Kindergartners at Claremont have been becoming writers over the last few weeks! Students have been writing about true things that happen in their lives. 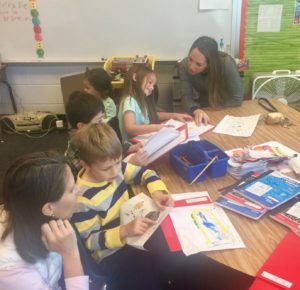 The curriculum “Things we know about!,” which was recently adopted by APS, is designed to help primary teachers teach a rigorous yearlong writing curriculum divided into units of study. At Claremont, the curriculum is implemented in both Spanish and English to support literacy in both languages. Kindergartners have been stretching out words, drawing pictures, labeling pictures and revising their work in their English and Spanish classes. To celebrate their writers, the kindergarten team had a publishing party on Nov. 7. Students invited their families to come see their published stories and hear kinder authors read their work in both English and Spanish. Students were excited about writing and sharing their work! 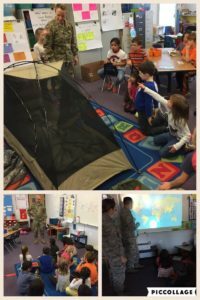 Students in Sarah Tyson’s first grade class at Abingdon were treated to special guests this week: their active duty military parents! Four different parents came to talk to the kids about their military experiences. 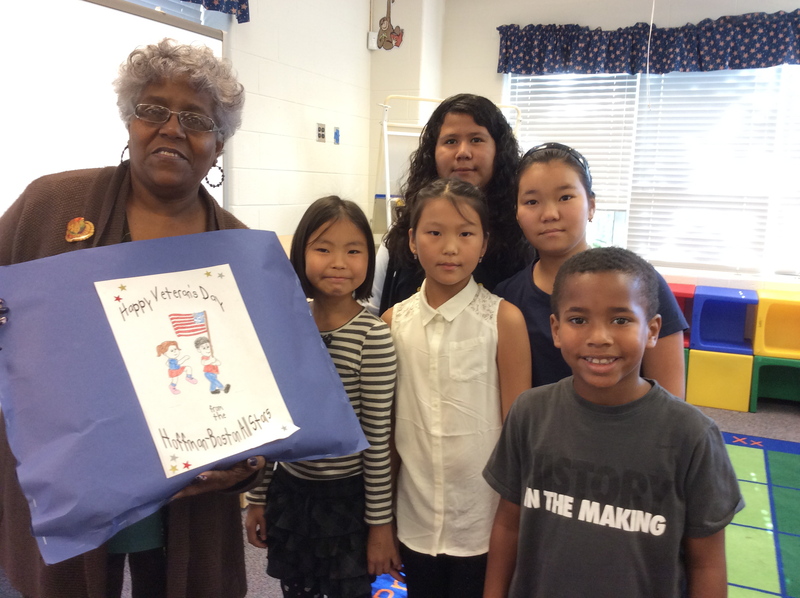 One mom, an Army Major, talked to studens about supporting soldiers oversees, which inspired the students to make a care package. Another parent, an Air Force Major, shared how she supports military pilots through her work as a meteorologist. Two other active-duty parents brought military equipment and uniforms for the students to try on and MREs (Meals Ready to Eat) for kids to taste. The first graders were so excited to learn about military life from these wonderful service men and women. During a week-long campaign for student council officers, Taylor students learned about leadership qualities and government. To introduce themselves, candidates created a campaign video that they presented in an assembly for upper grades and in classrooms for younger students. 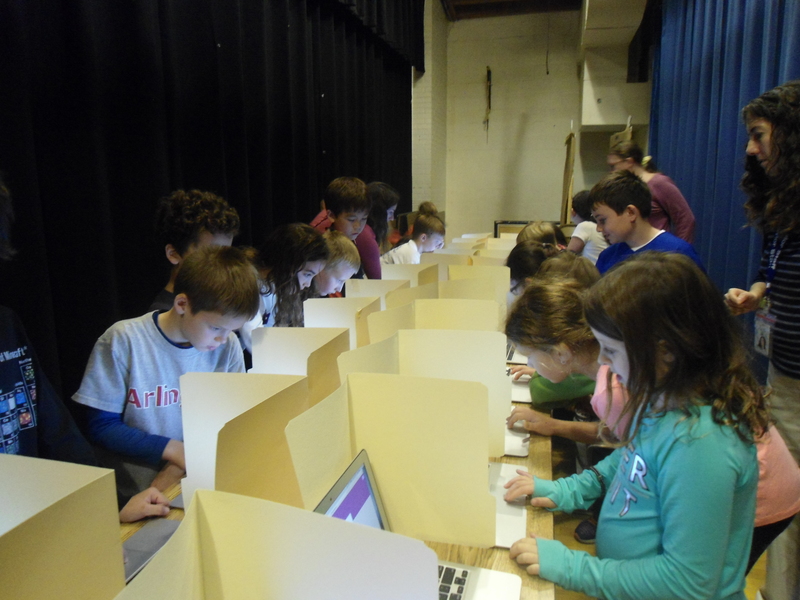 On SCA Election Day, all students voted electronically. Candidates who were not selected as officers will serve as representatives. The program was coordinated by counselors Rachel Lampert and Debra Gaeta. On the evening of Nov. 2, 17 Campbell teachers and both administrators led sessions at their annual EL Night. The event gave parents and children a chance to learn about and experience how their school uses Expeditionary Learning to craft engaging instruction for students. Some of the most popular sessions showed parents the benefits of the workshop model in writing, math, science, and social studies. 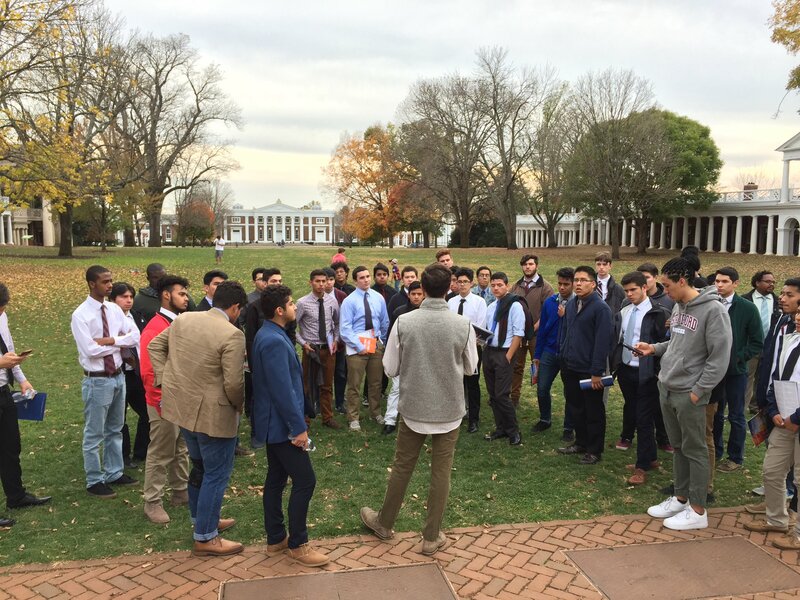 Students also wrote nighttime poetry outside in the courtyard, dabbled in viewing and creating projects in Wixie, and found out how Morning Meeting and Student-Led Conferences allow students to have a better sense of their role in our school community. McKinley participated for the second year in the AIA Northern Virginia CANstruction event. The fourth grade art club created a sculpture made from 1596 cans of canned food. The canned food will be donated to AFAC to benefit families in the community. A sign displaying the student work from McKinley will be displayed at Reagan National Airport during the CANstruction event through Nov. 20. More information can be found at aianova.org. The students in art club worked with art teachers, Stephanie Simmerman and Michele Mautawalli to develop a structure idea, estimate the number of cans and colors of cans, create a mission statement, and build the final structure. 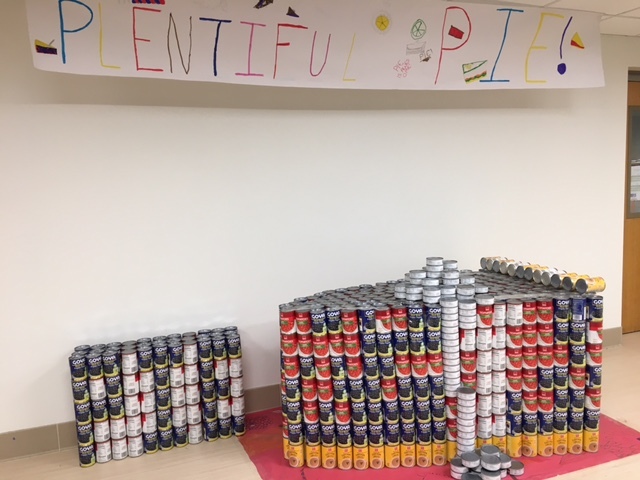 The students’ mission statement reflected their interest in holiday memories based on pie and family, stressed the importance of feeding people in need, and supported the idea that being part of the community through helping and making art are both important to McKinley Elementary students. 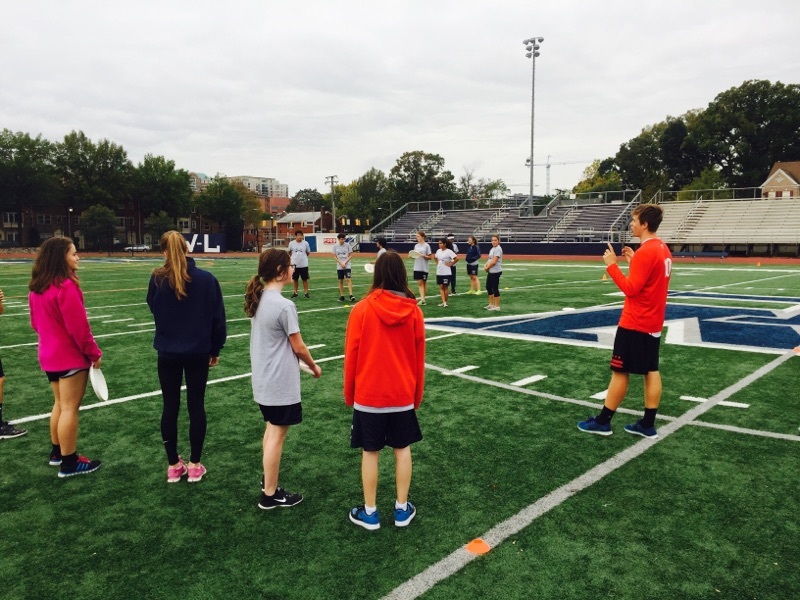 Staff and players from the men’s professional Ultimate Frisbee team DC Breeze visited the classes of W-L health & physical education teacher Jedediah Bobier on Thursday and Friday. DC Breeze staff and players were able to help answer questions in addition to catching and throwing techniques. More information is available online. Stratford teachers Tomeka Jones, Katelyn Gurgiolo, and Danette Postell teamed up and planned together for three different science experiments. 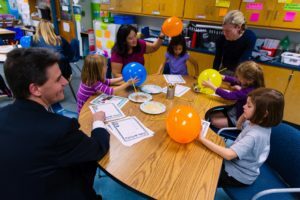 All three classes participated in the experiments, which included the flubber experiment and the apple volcano. More than 80 junior and senior boys from Wakefield’s COHORT group went on a two-day College trip to James Madison University, the University of Virginia, the University of Richmond and Virginia Commonwealth University. Chaperones included Wendy Maitland, Shaheed Patterson, Lisa Labella, Davis Tran, Javonnia Hill and Alan Beitler and two COHORT and Wakefield grads – Michael Wanzer (2004) and Dan Brown (2013). The highlight of the trip was each campus had former Wakefield graduates who hosted a student panel. The students gave great insights about college life and what it was like transitioning from high school to university. Did you know an owl can hear a mouse’s heartbeat from 100 feet away? That is what Abingdon students learned on Wed, Nov. 9 when raptors descended on the school! 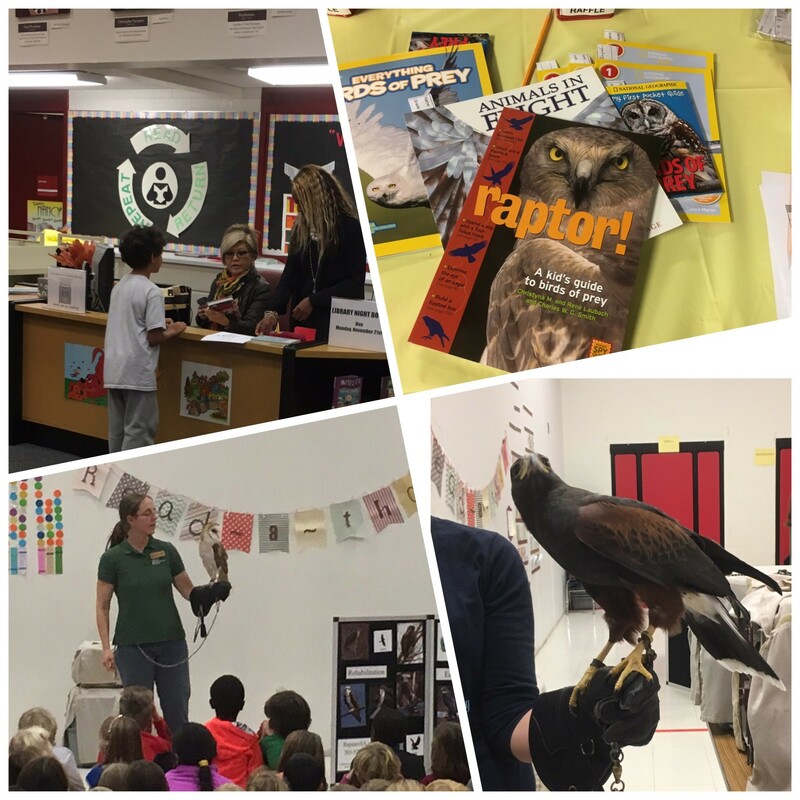 The ELA team of Mary Lou Rube, Susanna Smith, Meghan Fatouros, Joan Killingsworth, and Carla Reissman hosted Library Night, with special guests from the Raptor Conservancy of Virginia. Students learned all about and got to meet hawks, owls, falcons, and other birds of prey. Students had the chance to win books about raptors and enjoy a bonus library check out.